“Gutpela Nait, Holi Nait” i wanpela song bilong Krismas. Em i kam long maunten bilong Ostria (Austria) klostu long Jemeni (Germany). “Silent Night, Holy Night” is a Christmas carol that comes from the mountains of Austria near Germany. Long 1817 Binksu Joseph Mohr i kam long St. Nikolaus Sios long taun Oberndorf klostu long Salzburg, Ostria (Austria). Em karim wantaim em tok bilong wanpela song em i raitim long 1816. Olsem, em i askim Franz Gruber, wanpela tisa long skul long Arsndorf, wanpela taun klostu, long raitim nek long dispela tok. Olsem, long Krismas nait 1818 dispela song bai ol i singim. Long dispela Krismas, organ bilong sios bai i bruk, olsem ol i singim waintaim gita tasol. 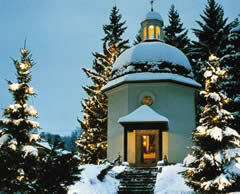 In 1817 Father Joseph Mohr came to serve St. Nicholas Church in the town of Oberndorf near Salzburg, Austria. He had with him the words to a song that he had written in 1816. He asked Franz Gruber, a teacher of a school in the town of Arnsdorf, to write a melody for this poem. On Christmas Eve 1818 this song was sung for the first time. On this Christmas, the organ of the church was broken so the song was sung accompanied by a guitar only. 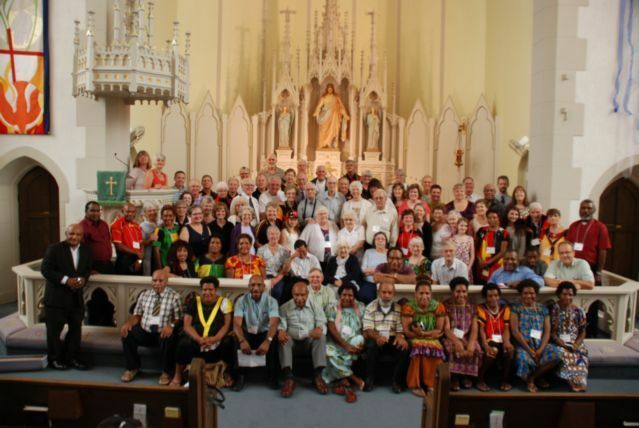 Sampela Papua New Guinea misinari i bin singim dispela song long Bung long Trinity Lutheran Church, Peoria, Illinois, USA long Julai 2015. Sapos yu laik harim song, klik long piksa ananit. Tok bilong dispela song i stap tu. Some Papua New Guinea missionaries sang this song at a gathering at Trinity Lutheran Church, Peoria, Illinois, USA in July 2015. If you want to hear the song, click on the picture below. The words of this song are there too. Olgeta misinari i prea Pikinini Bilong God, Jisas Krais, i stap wantaim yupela olgeta long dispela Krismas na oltaim oltaim. 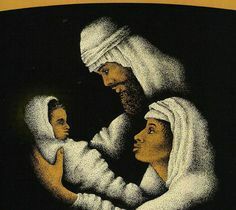 All the missionaries pray that our the Son of God, Jesus Christ, be with you this Christmas and eternally. Em i Ki-ing bilo-ong glori. i stap klostu long Be-ethlehem. bilong Jisas i ka-am, bi-ilong Jisas i kam. God i no moa stap hait. Krais Bikpela i ka-am. Kra-ais Bikpela i kam. This song is #15 in Amamas Wantaim Na Lotu Long God (Lae: Evangelical Lutheran Church of Papua New Guinea, 2004) and #132 in Lotu Buk (Madang: Lutheran Mission Press, 1963).